studied under B. F. Skinner from 1938 to 1943. In 1942, Marian, and her first husband, Keller Breland, joined Skinner to train pigeons to guide WW2 bombs. That experience prompted the Brelands to found Animal Behavior Enterprises (ABE) in 1943. ABE was the first company to use operant conditioning. By 1947, ABE chickens were advertising farm feeds. ABE trainers trained more than 140 different species, and tens of thousands of animals. The “new animal psychology” was announced by the Brelands in 1951 in The American Psychologist .The Brelands’ then heretical view of behavior is outlined in their landmark 1961 publication, THE MISBEHAVIOR OF ORGANISMS. They proposed an interaction between and a continuum of operant and respondent behavior. Keller died in 1965. Marian continued the work at ABE. ABE flourished, the staff growing to number more than 43. Bob and Marian were Married in 1976. Marian received her PhD in 1978, and began teaching at Henderson State University in 1980. ABE’s doors closed in 1990 when the Baileys retired from business. Marian retired from university teaching in 1998, but she continued to teach the operant conditioning workshops until she passed away in September 2001.
even as a child, had an interest in science, and especially in the behavior of animals. His mother had to contend with live rattlesnakes in the refrigerator and rocket fuel in her kitchen. 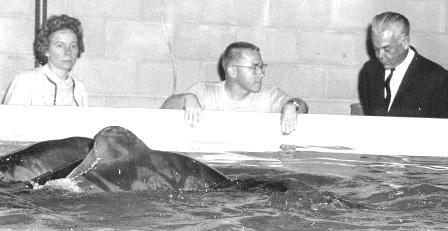 Studying fishes, reptiles, and birds at UCLA in 1957 was Bob’s first exposure to behavior analysis and ethology. After a stint in a biochemistry lab, and in the field as a fish & game biologist, he became the US Navy’s first Director of Training. Joining ABE in 1965, Bob became Research Director, and then General Manager. Over the years, Bob has trained more than 140 species of animals, and thousands of individuals, including many in a free environment training using long range control and guidance systems. 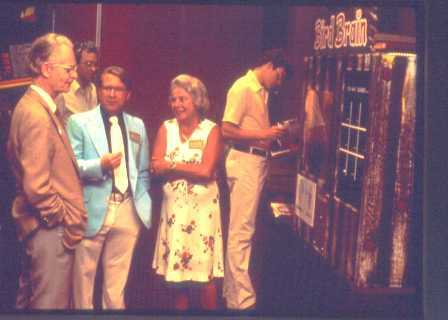 Bob published in the journal The Behavior Analyst in 2005: Operant Psychology Goes to the Fair: Marian and Keller Breland in the Popular Press, 1947–1966, describing some of the early work of Marian and Keller Breland. Bob continues the Bailey and Bailey workshop teaching tradition during 2011 and 2012, but at a reduced pace. Currently, Bob teaches in Europe and consults on dog-based “systems” for police and military applications. Bob is also an inventor, designer, writer, teacher, diver, photographer, and video editor.